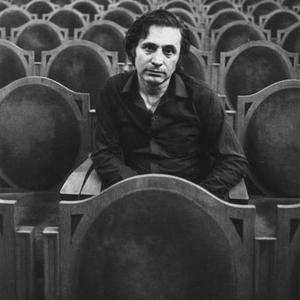 Alfred Schnittke (or ??????? ????????? ?????? ; born November 24, 1934 in the town Engels in USSR; died August 3, 1998 in Hamburg) -- was a Russian composer, pianist, theoretician of music and educator. His music is derived from various traditions: Russian (Dmitri Shostakovich, Igor Stravinsky), German (Gustav Mahler, Alban Berg), and American (Charles Ives). Among other things he composed nine symphonies (the last one unfinished), six concerti grossi, four violin concertos, three piano, two cello, a double concerto (for violin, viola, and cello), four string quartets, and three operas. Among other things he composed nine symphonies (the last one unfinished), six concerti grossi, four violin concertos, three piano, two cello, a double concerto (for violin, viola, and cello), four string quartets, and three operas.